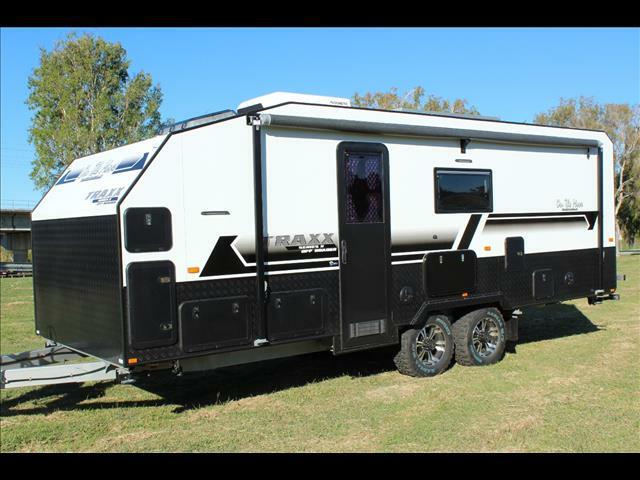 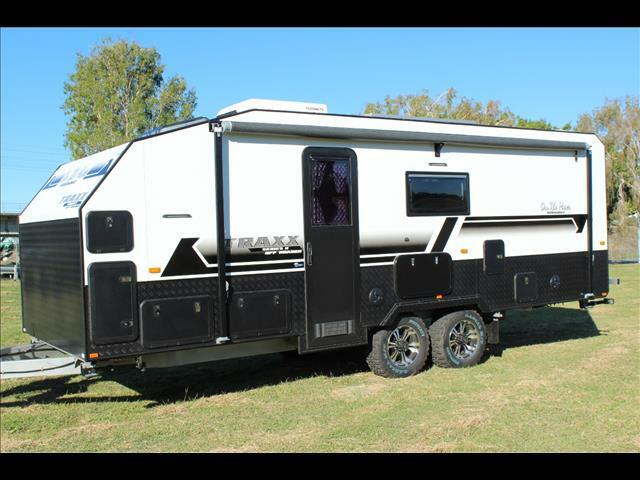 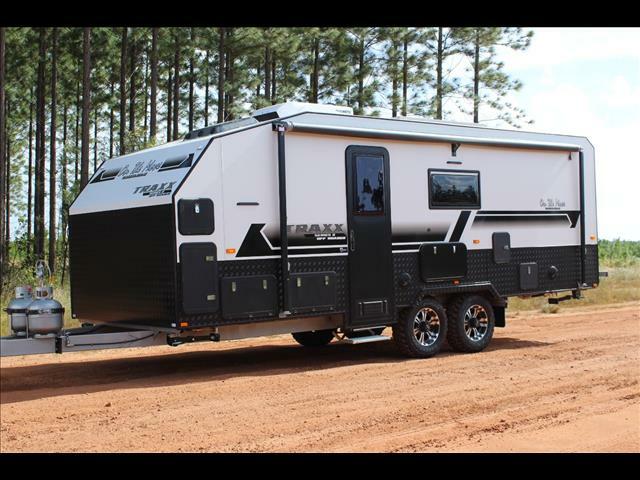 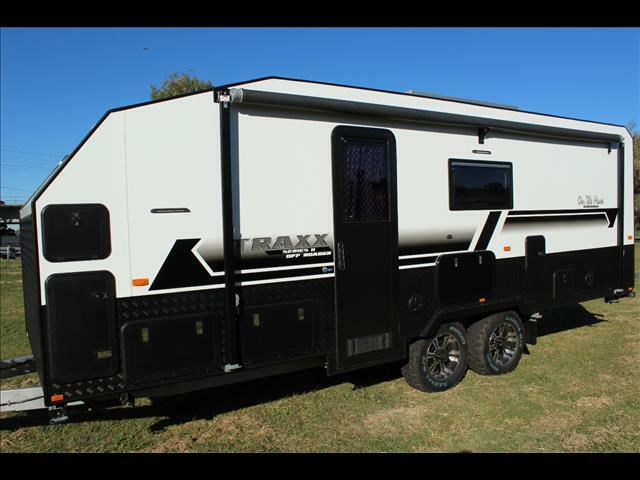 New from On The Move Caravans is thisTRAXX 20&apos;6 off road bunk caravan. 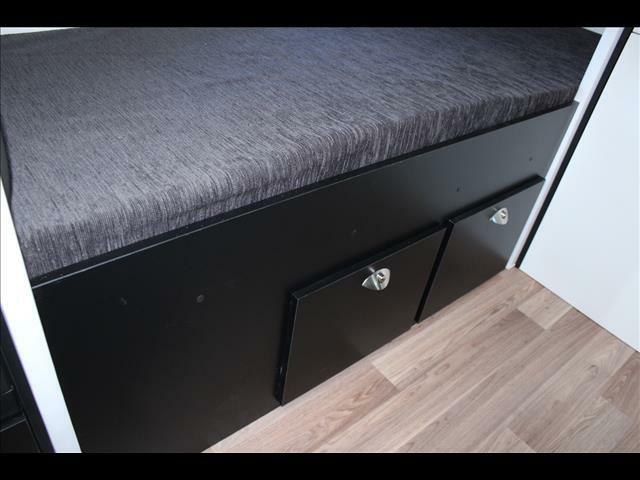 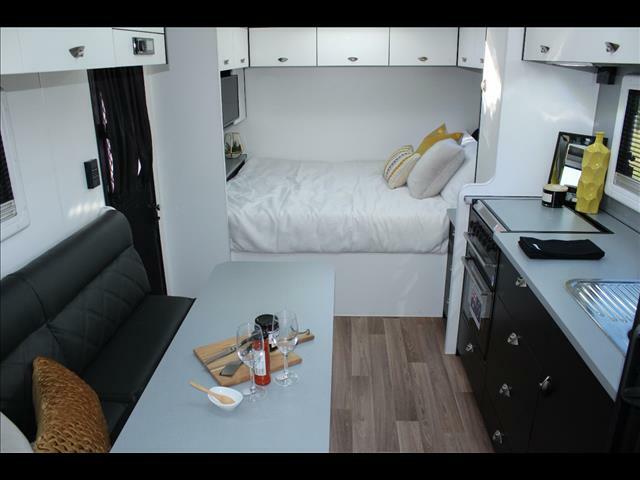 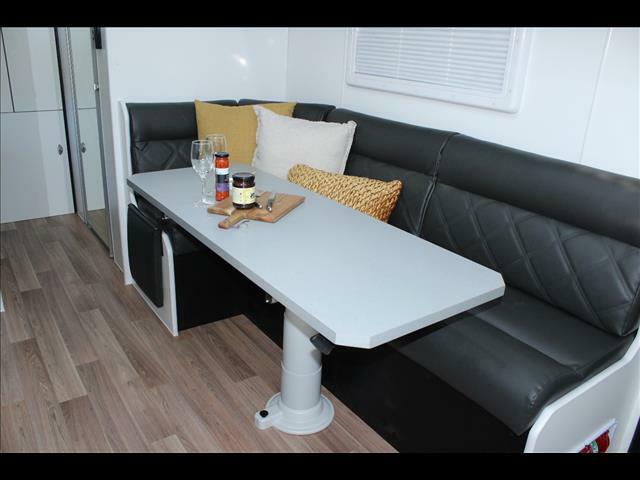 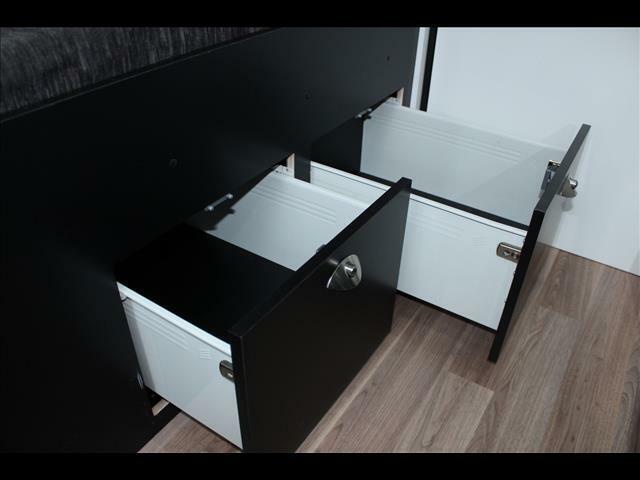 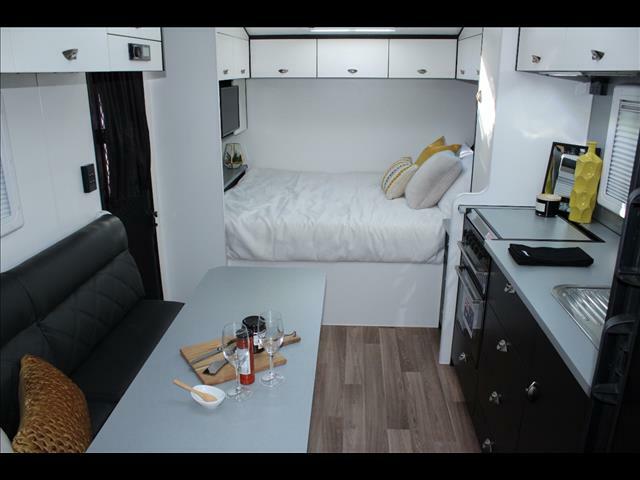 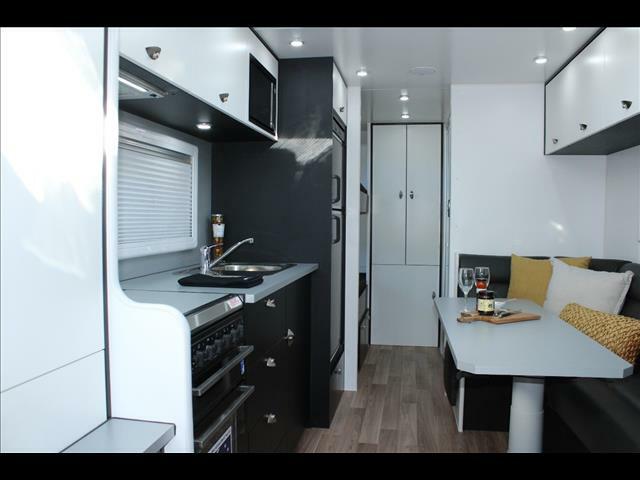 It has an East West bed that maximises inside room and provides an additional full width tunnel boot for storage that is assessable from the inside too. 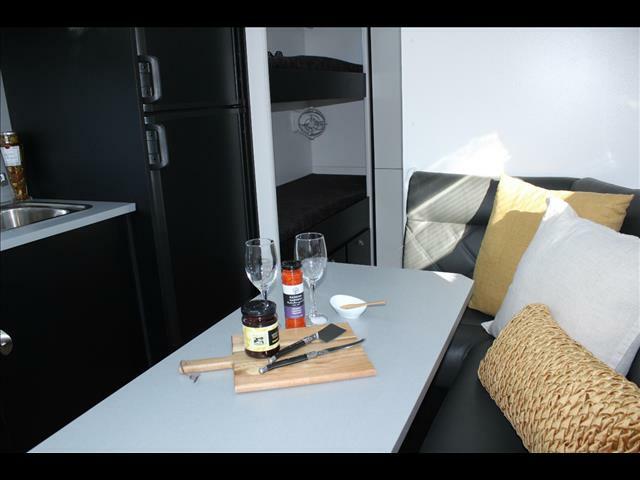 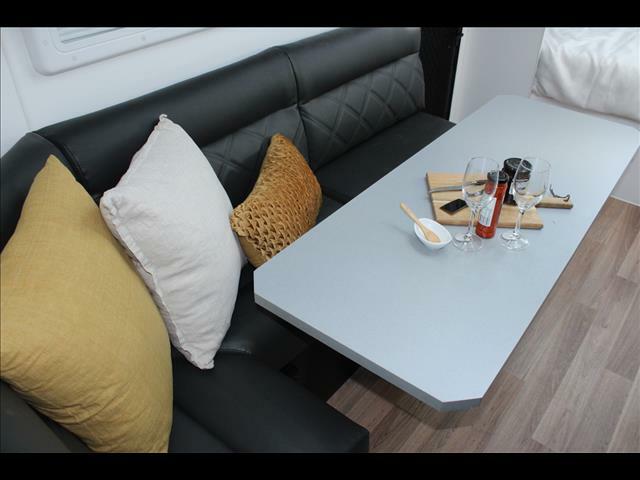 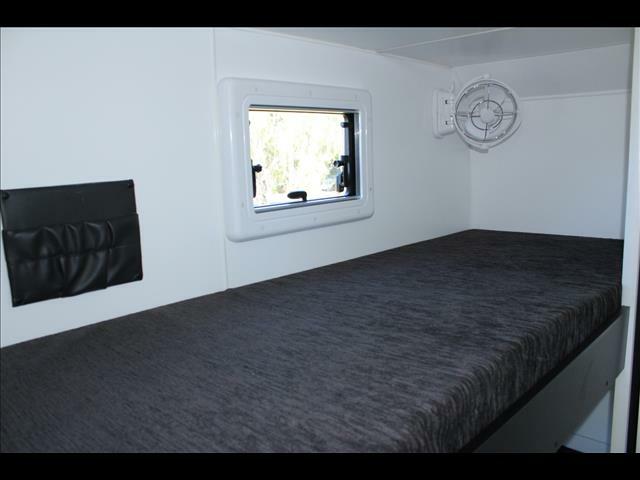 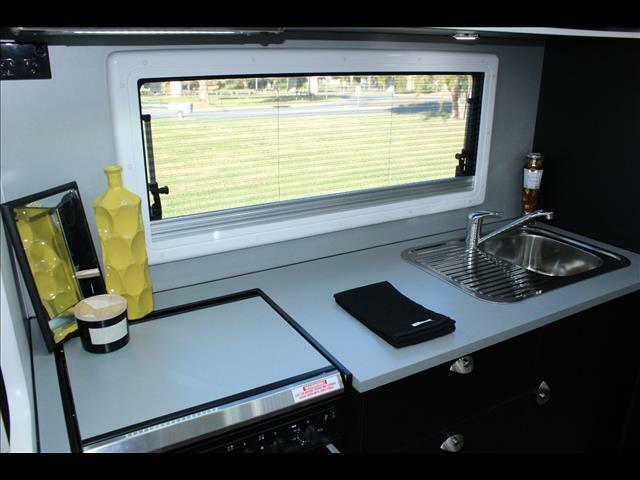 The TRAXX bunk caravan has quality fittings inside and proven durable parts outside and underneath for peace of mind. 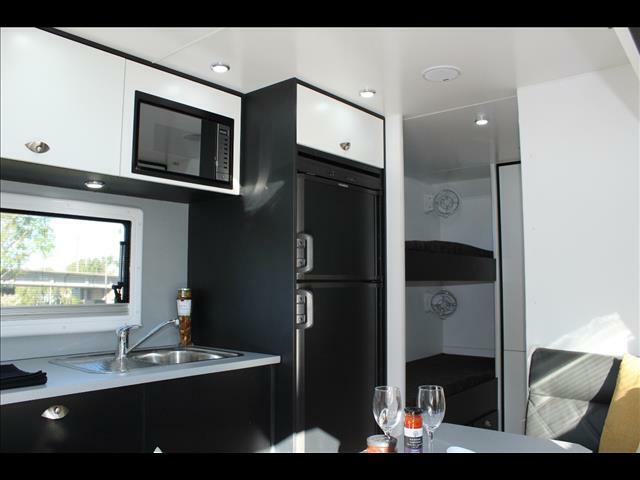 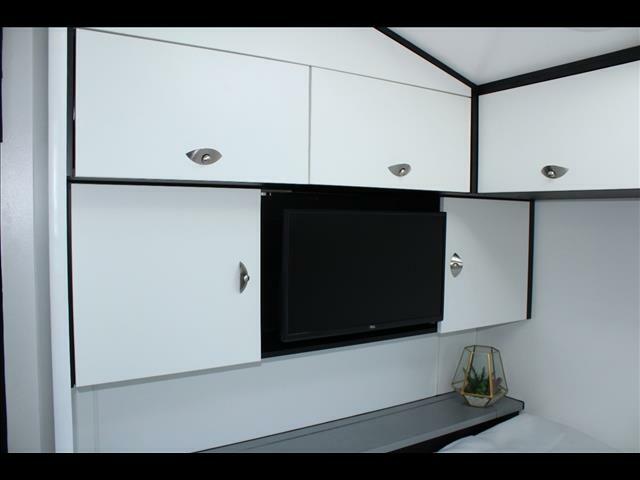 Inside is fitted out with all the luxury items you would expect to find, Air Conditioning, full oven, microwave, 2 x TVs. 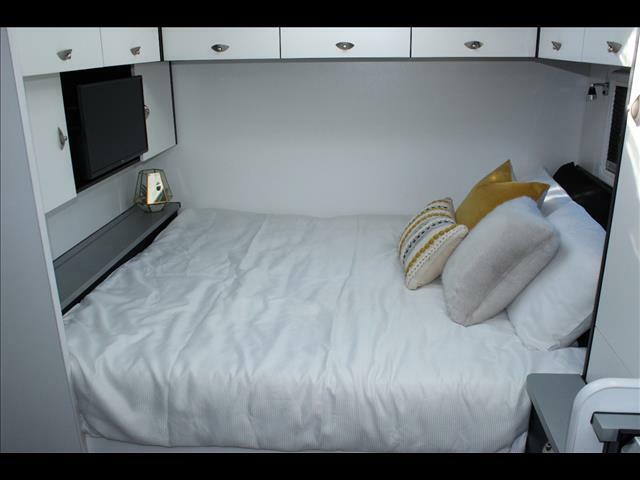 The bunks have a sirroco fan, reading lights, power and USB outlets along with storage pouches for Tablets and books. 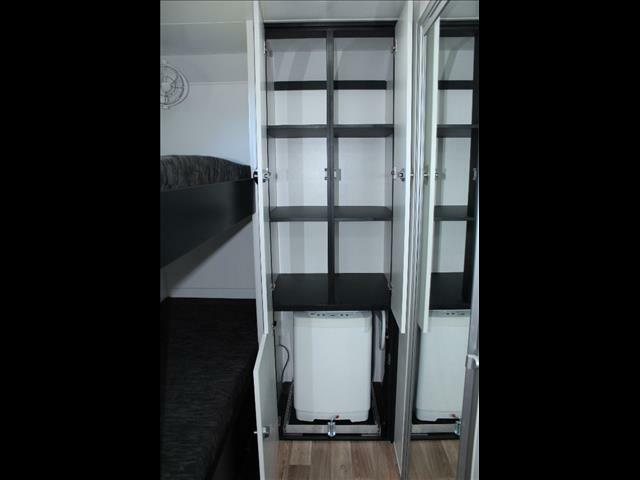 A washing machine has been fitted on a slide to make the most of the available cupboard space above. 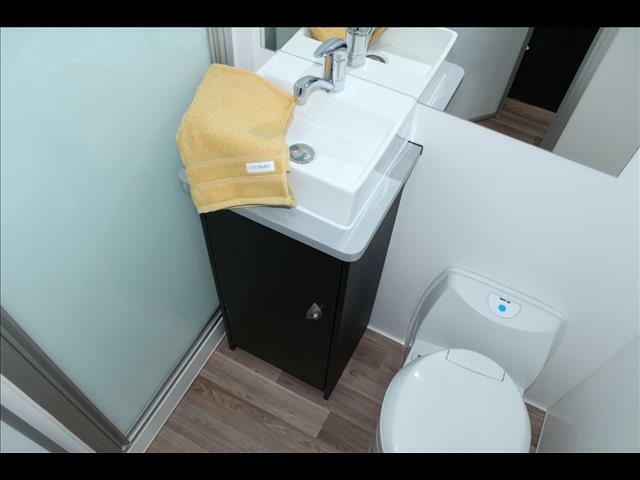 There is a roomy ensuite with ceramic basin, large one piece fibreglass shower and separate toilet with exhaust fans. 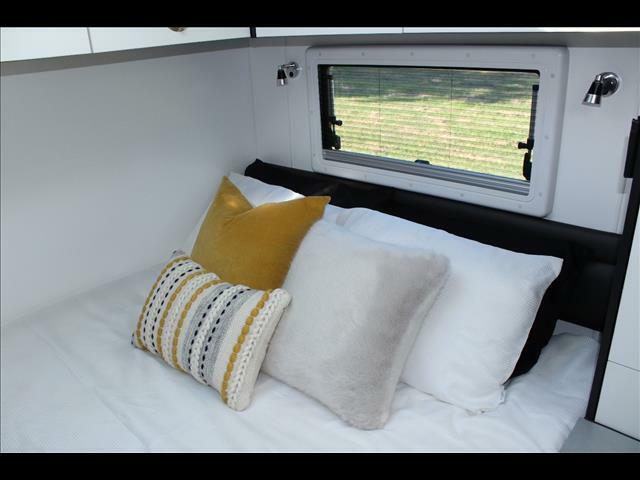 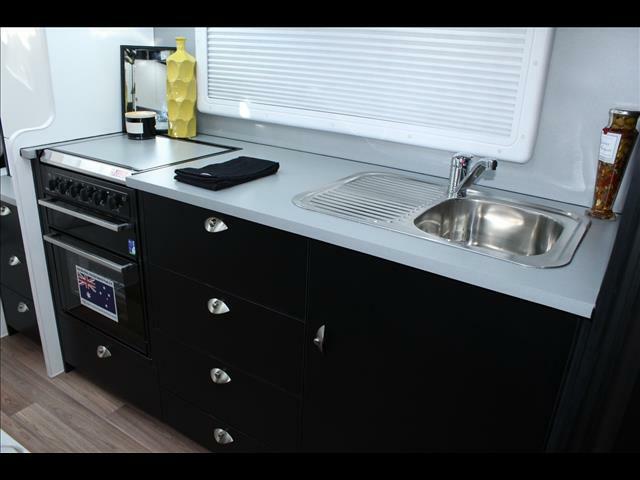 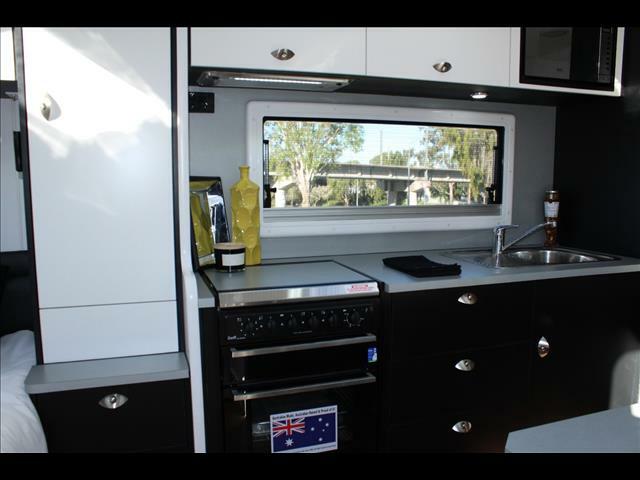 This off road bunk caravan has been built using the same Best Aussie Van winning formula, so you are guaranteed of getting the legendary On The Move Caravan quality and reliabilty.